Tamiami Subs came to my attention a few months back during their year anniversary party. How did they celebrate? By having a Cheesesteak eating competition with the winner receiving a 32″ TV, sounds like my kind of competition. My friend Manny and I decided to hit up Tamiami Subs and see what they’re all about. We figured we should order 2 Subs and split them, divide and conquer. We ordered their standard Philly Cheese (size: Full not Half) with Manny deciding he should have lettuce on his half. A strand of that dastardly stuff made it onto my side as you can see in the picture. Great Cheesesteak which is even better without lettuce. While I disagree with the “Juicy All Beef Patty” mentioned on their menu, it is, in fact, a frozen Burger patty for the Burgers and/or Burger Sub. We went Full (no Halfsies around here) size on the Burger Sub with Cheese & Bacon. The Bacon was the real deal, not that reheated fast food style bacon that seems to be popping up at a whole bunch of sub shops. It was a solid Sub but I was hoping for more because of the description. The Fries are the seasoned kind and tasted pretty good with the Cheese sauce. I can’t help but think we messed up. 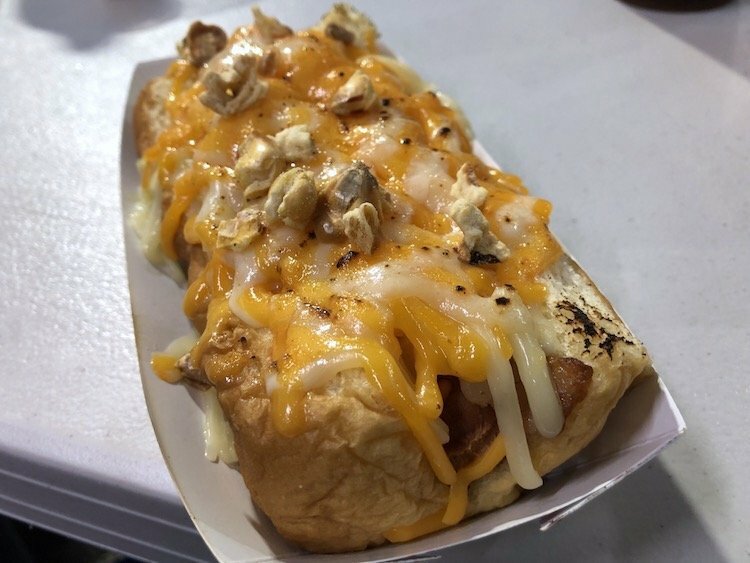 We should have ordered one of their specialty subs like the Firecracker Chicken (Chicken topped with Buffalo Wing Sauce) or the Garlic Steak Sub (Philly Steak topped with their homemade Garlic Sauce). Hey, there’s always next time. A good thing for those of you who live near Tamiami Subs is that you can also place your order online through their website.